New Ash Green v Hunton Wanderers - A very warm day. New Ash Green were inserted and struggle to build partnerships against the opposition bowling attack. 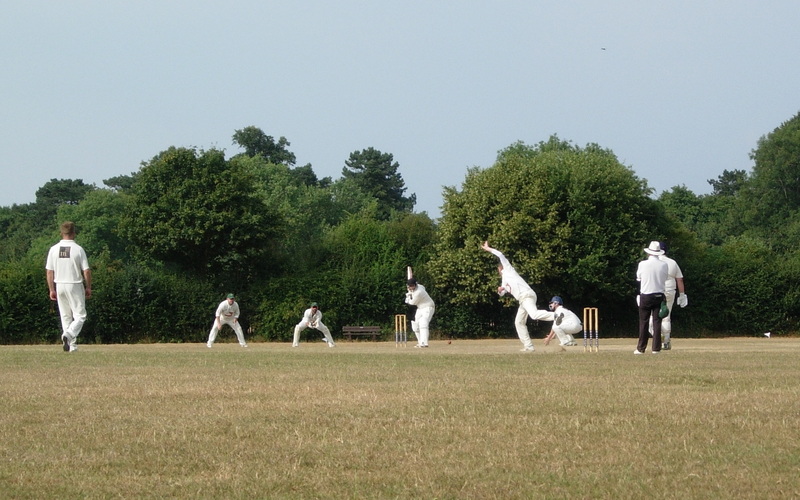 Whilst all batsmen contributed, New Ash Green finished out their 40 overs on a likely under par 139-9. Top scorers M Bushe (29*), G Wale (23) and extras (27). With a League bye week, there was no second XI game today. With some making the most of the 2nd XI bye week to plan other activities, no friendly fixture was scheduled. 1st XI bowling attack. For more club photos check out our gallery & also our instagram.